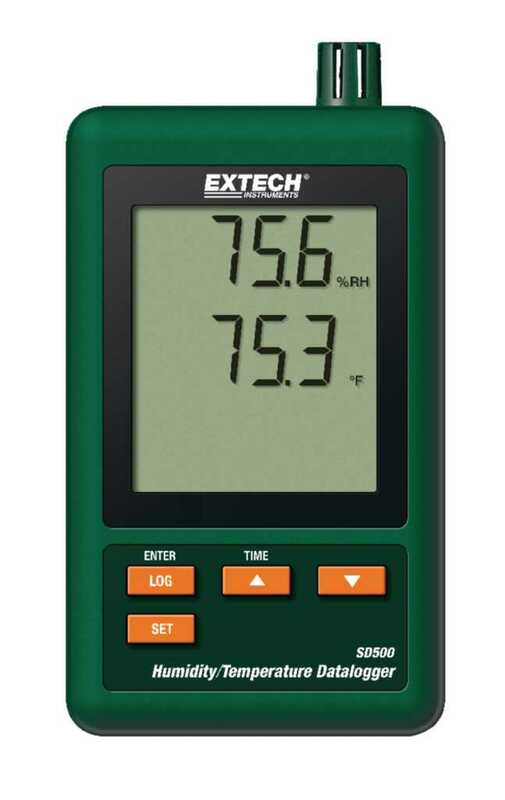 The SD500 features a dual LCD that simultaneously displays relative humidity and temperature readings. 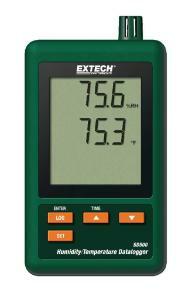 Other features include a datalogger that stores readings on an SD card in Excel® format for easy transfer to a PC. Ordering information: Supplied complete with 6 AAA batteries, 2G SD card, universal AC adaptor, and mounting bracket. The unit also includes a manufacturer's one-year warranty.